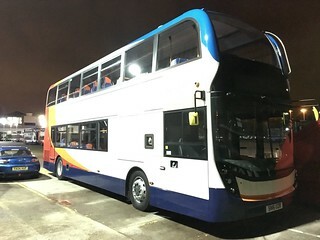 This vehicle has entered service at Slatyford Depot on flagship services 62 (Killingworth - City Centre - North Walbottle) and 63 (Killingworth - City Centre - Chapel House). This vehicle carries dedicated branding for the new #BUSPEOPLE campaign, which comprises of five different variants. This example carries the 'The Talker' variant. 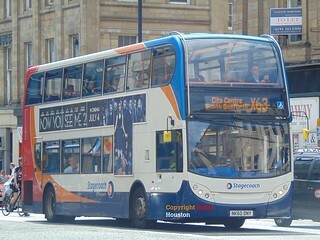 This vehicle has arrived into the Stagecoach North East fleet. 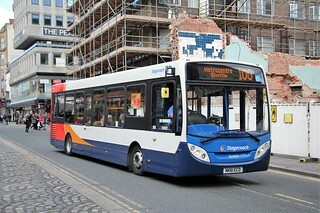 It is currently being prepared for service at Walkergate Depot. 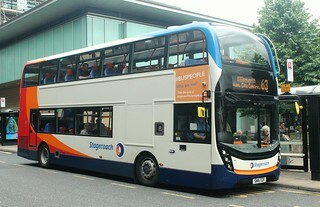 This batch of vehicles are Euro 6 specification and feature high-back orange and blue Lazzereini e-leather seating. The batch are also eqipped with free passenger Wi-Fi as well as USB power sockets. 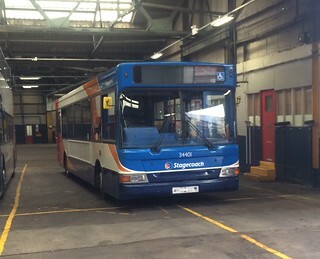 This vehicle has transferred from Stagecoach North East's Walkergate Depot to S Having been loaned to Stagecoach Chesterfield to provide transport for the horse racing at Cheltenham Race Course, this vehicle has now returned to service at Stagecoach North East's Walkergate Depot. This vehicle has transferred from South Shields Depot to Slatyford, on temporary loan, to alleviate vehicle shortages.